Regnas Custom Jewelry 4.88 out of 5 based on 8 ratings. 8 user reviews. much better than pictures can tell! I may be ordering another soon. I rarely give reviews but in this case I feel compelled to do so. The ordering process for this ring was quite simple. The order was handled quickly, and before I knew it, I was notified that my order had shipped. The ring was delivered to me within a reasonable period of time and arrived in excellent condition. I could tell that the ring was packaged with care and respect for the contents. The ring came in a lovely attractive jewelry box. Finally, the ring itself is absolutely beautiful. It was sized perfectly. The gold over the silver was very well done. Smooth and even & complete. 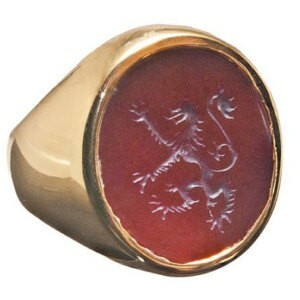 The carved red agate is carved precisely & professionally. 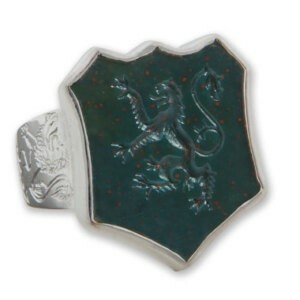 This ring is quite Regal in appearance and is worthy of Royalty. I am very very pleased and feel Special when wearing the ring. I could easily continue but instead I urge you to order. Excellent customer service, prompt responses to questions and ideas, and an outstanding ring. I initially was going to get a class ring, as I just graduated with my doctorate. However, I found John's shop on Etsy and decided a custom piece would be more my style and less expensive. All in all, a great experience ordering from John. The ring is lovely. Thanks! 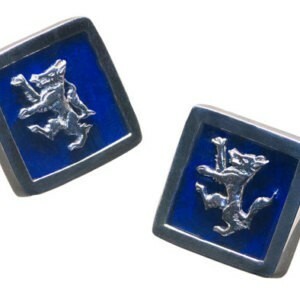 My beautiful lapis cufflinks arrived today from Thailand. They are exquisite. Wonderful work and exactly as pictured. I'm very pleased with the quality and workmanship and look forward to wearing them and telling the story of their purchase from Thailand for many years to come. Extremely pleased with my ring, fine craftsmanship and looks even better than what I expected. Will definitely recommend your services . It was more than I expected. The ring fits perfectly and looks elegant. Nice cuff links and great service. John, the ring is amazing! I know my son will love it when he opens it on Christmas morning. Thanks for your great work!